Iowa Congressman Steve King says he was taken aback by the failure of the Farm Bill on Friday in the U.S. House. King, a Republican from Kiron who serves on the House Agriculture Committee, was in Orange City over the weekend. He says explains why the bill failed. “No Democrat would vote for it because it had work requirements in the SNAP program,” King says. “So, they pretty well certified themselves as being against work. I’m not particularly surprised at that, but that’s the position they took, so it all had to be passed with Republican votes.” At least nine Republicans joined with Democrats in voting against the Farm Bill, colleagues King calls “liberal Republicans,” who also disagreed with the SNAP work requirements. There were several other Republicans who King refers to as “the Freedom Caucus people,” who also opposed the Farm Bill. 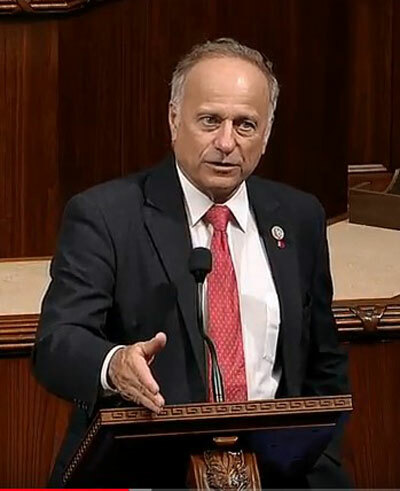 King is still optimistic and remains confident the House will pass a Farm Bill within the next month or so that will be very similar to the bill that just failed.